Washington: If the Congress refused to support funding for a wall along the Mexico border, the ongoing partial government shutdown will continue for years, US President Donald Trump issued a threatening warning on Friday. “I did say that. Absolutely, I said that,” Trump told reporters in the Rose Garden of the White House after Democratic leaders told media about the president’s “threat”, during their meeting with him, to continue with the partial government shutdown for years. “We told the president we need the government open. He resisted. In fact, he said he’d keep the government closed for a very long period, months or even years,” Senate Minority Leader Chuck Schumer told reporters after his meeting with Trump at the White House on ending the partial government shutdown. House Speaker Nancy Pelosi, who attended the meeting along with other Congressional leaders stressed on the need to open the government. “We recognise on the Democratic side that we really cannot resolve this until we open up the government and we made that very clear to the president. Services are being withheld from the American people. “Paychecks are being held — withheld from people who serve the needs of the American people and our border security will suffer if we do not resolve this issue,” Pelosi said. Responding to reporters’ questions thereafter, Trump conceded he “threatened” to continue with the government shutdown but, he said, it is unlikely to happen. “I don’t think it will, but I am prepared and I think I could speak for Republicans in the House and Republicans in the Senate. They feel very strongly about having a safe country, having a border that makes sense. Without borders, I’ve said it many times, we don’t have a country. I hope it doesn’t go on even beyond a few more days. It really could open very quickly,” he said. 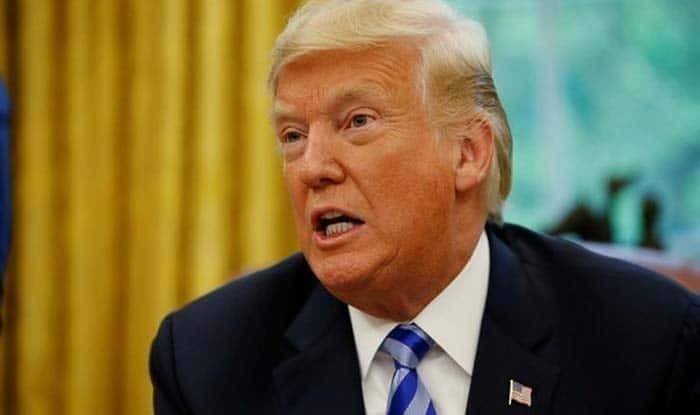 The US president said he also has the option of building the border wall with his constitutional provisions under national emergency. “We could call a national emergency because of the security of our country. Absolutely. No, we could do it. I haven’t done it. I may do it. I may do it. But we could call a national emergency and build it very quickly and it’s another way of doing it. But if we can do it through a negotiated process, we’re giving that a shot,” Trump told reporters in response to a question. The president, however, denied he threatened the Democrats. “I’d never threatened anybody, but I am allowed to do that, yes,” he said. Trump, during the meeting with the Congressional leaders, made another strong case for a border wall. “I explained to them the problem though as we could have a wonderful port of entry but you have 2000 miles of border between the United States and Mexico and if you take a look and you see like we do through certain technology including cameras in airplanes, not just drones, you will see vast numbers of vehicles driving through the desert and entering where you don’t have a very powerful fence or a wall,”he said. On December 22, 2018, the United States called out for a partial government shutdown after the House and the US Senate adjourned without Congress passing a spending deal.